The past year has been the most significant in our ranch resort’s history, particularly the addition of Zion Crest Campground and RV Park. Our campground is not just any campground. 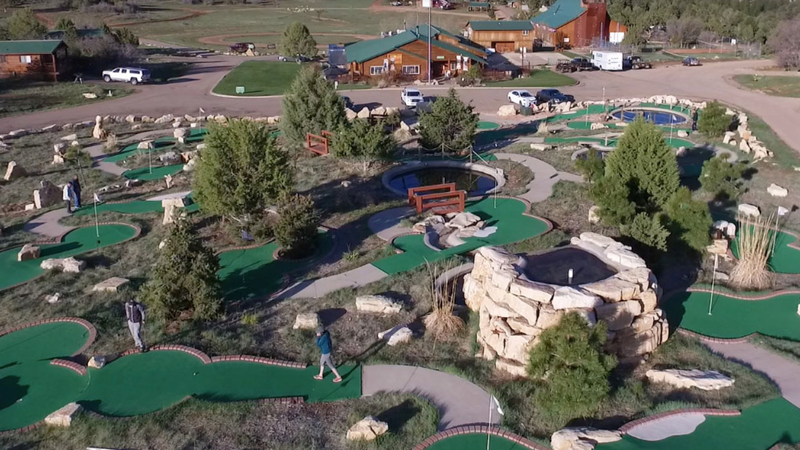 We’ve always offered unbeatable amenities, and with our latest improvements, Zion Crest Campground is the best it’s ever been. Our main property, Zion Ponderosa Ranch Resort, is now open all year long. The expanded operating season includes on-property dining, recreation and adventure. Campers have access to our tennis courts, mini golf, basketball and pickle ball courts, plus seasonal access to our two-tiered swimming pool and hot tub. Ray’s Restaurant will be open for business as well, so skip cooking over a campfire and enjoy a hearty meal made to satisfy even the most adventurous appetite. Zion Ponderosa Ranch Resort offers the largest selection of on-property activities in the Zion area. 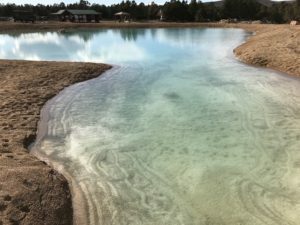 In fact, U.S. World News and Travel recently named Zion Ponderosa one of the Top 6 Adventure Resorts in America, with the largest selection of on-property activities in the Zion region. Canyoneering and hiking tours, horseback riding, ATV tours and rentals, and Jeep adventures are available year-round, as long as Mother Nature cooperates. 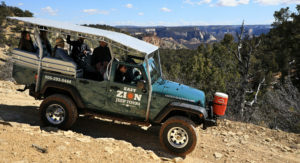 East Zion Jeep Tours is our latest offering, leading guests on an exciting exploration of Zion’s secret canyons, scenic overlooks and magnificent backcountry. Our tricked out Jeeps are brand new and ready for adventure! Click here to see all of Zion Ponderosa’s activities and adventures. 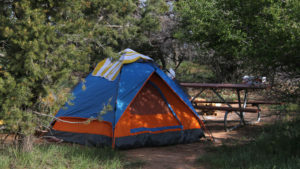 We’ve added 50 spacious tent camping sites in the shaded Ponderosa pine forest on the east border of Zion National Park. 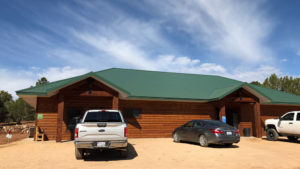 Zion Crest Campground has a dedicated shower house, bathrooms and laundry, all newly constructed just last spring. Campers have access to hot showers, picnic tables and grills, wireless Internet, and all Zion Ponderosa Ranch Resort amenities. Dogs are also welcome in our camping area. As if our zip line isn’t exciting enough, now adventurers will soar above our brand new pond. The figure-eight pond will be open for paddle boarding and other water activities. The pond also features a footbridge. A brand new sports field adjacent to the pond is available for fun activities such as softball, soccer and Frisbee. We’ve also been planting trees, trees and more trees. Look for new Ponderosa pines and fir trees around the property and along the roadways. Come see what’s new at Zion Crest Campground for yourself! Please call 1-866-293-5444 for tent camping reservations.